Anyone else hoping for Cha based shifters with those fey and dragon archetypes? I would love Cha based shifters for the fey and dragon archetypes. But the realist in me has doubts that I will be so lucky. I'm still pretty leery of Shifter stuff...but I'm hoping new options will give it some BANG. I am leery about the shifter as well, it still feels like an unfinished product. But 1e is coming to an end and this is the last class of the old system, so it needs love a lot more then most of the other ones do. A dragon shifter? I'm intersted. Speaking of the Shifter, the class could use a lot more love in the feat department. I agree. I do hpp[e that Paizo does well by this class. I do know! Shifters are definitely seeing some love in the feat department. Well we know that the Shifter, Spiritualist, Summoner, and Witch will get some love but I wonder what other classes? Hopefully more options for the Bloodrager, Kineticist, Monk, Oracle, Psychic, Sorcerer, and/or Swashbuckler. Hopefully there will be more dragon and fey themed options other then the Shifter ones. 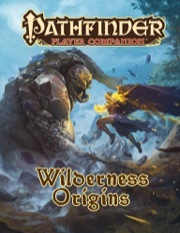 Have there been any giant themed class options for Pathfinder? Ooh, cool, Shifter feats as well! Being able to augment your favorite form sounds nice. Dragon and fey archetypes for the class are definitely my top interests, though. Options that Druid doesn’t do very well. Any more wood kineticist options? Especially if those options were positive energy base though I would love one that lets them control, create, or summon plant creatures. This will be great for the new vine leshy boon that I have and plan to spec as a leshy warden (druid) ... can hardly wait until it comes out! I'll make sure not to play it past first level until then so i can still use this lovely sounding source! Very excited. About how long does it take items to ship and the pdf to be downloadable? The email I received told me to expect the shipment to ship/to expect the pdf within ”2 to 13 business days”. Should be seeing some info by Tuesday or Wednesday. Without making any promises, we're trying really hard to stay ahead of the ball on this one. We anticipate the review team having notes on this to us in the very near future and I've already done the initial org play review, so hopefully you'll have a much smaller wait between having the book in your hands and having the additional resources for it posted than has been true for some previous entries. So anyone get any notifications yet? That is wonderful news! Thanks so much! I will be downloading it as soon as I am able to, once notification has been received. I think the orders containing this product must be relatively late in the shipping queue. There are already people spoiling this month's adventure path volume. 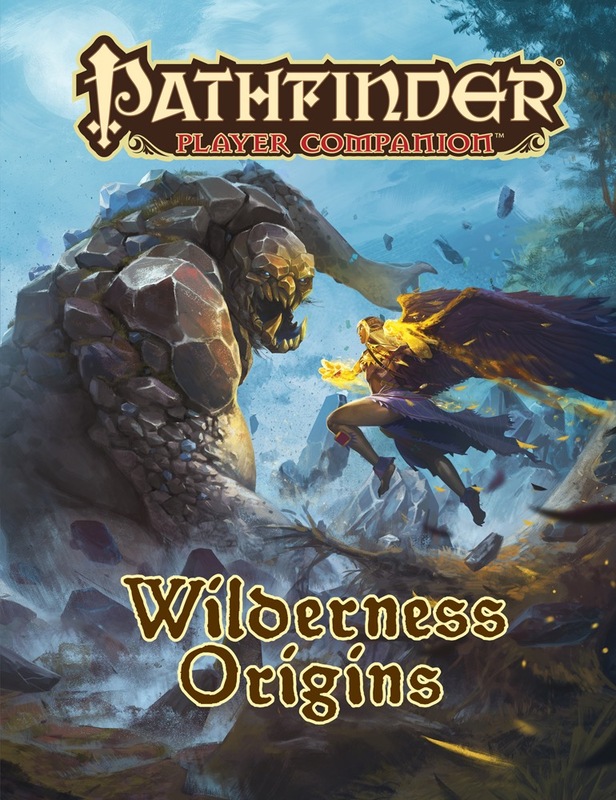 I've got my PDF, but compared to all of the insanity of an end of AP volume, and one featuring full stats for multiple Runelords, as well as detailing what the aftermath of their return might entail, well, this one is almost an afterthought. Someone will get around to it, surely, but it may be a day or two. Would you change your mind if I told you that made me sad? No? Well I tried. What are the new animal options? How does the dragon shifter look compared to other recent archetypes? What's the thing that's a bigger buff for druids? Well that is disappointing to hear about the Shifter but I am not surprised. It is too bad the class didn't come out in an earlier book. what are some of the new animal aspects? ?